Who Doesn’t Love Fabulous Hotel Amenities? We’re not immune to being pampered and indulged during our travels. Apparently, we’re not alone. Fabulous amenities at hotels and resorts are now par for the course for the ever-discriminating traveler. 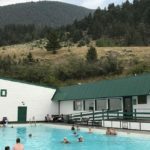 There are undoubtedly many more, these are just a sampling of the fabulous amenities we think make the grade. Please tell us the unique amenities you’ve discovered in the comments below! 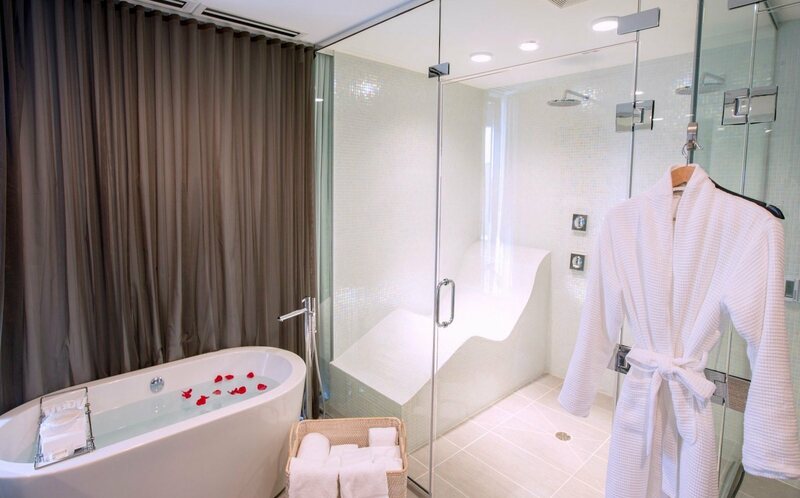 If you’re a fan of spa treatments, then you’re going to love the spa suites at Le Méridien in Oakbrook, Illinois. Not only is the masseuse one of the absolute best we’ve ever encountered, but there’s a little something extra that was new to us – a tile lounge chair that heats up so you can literally melt the aches, pains, and stresses away. One of the most relaxing amenities we’ve ever found, we recommend this topper to an all-around outstanding spa experience. 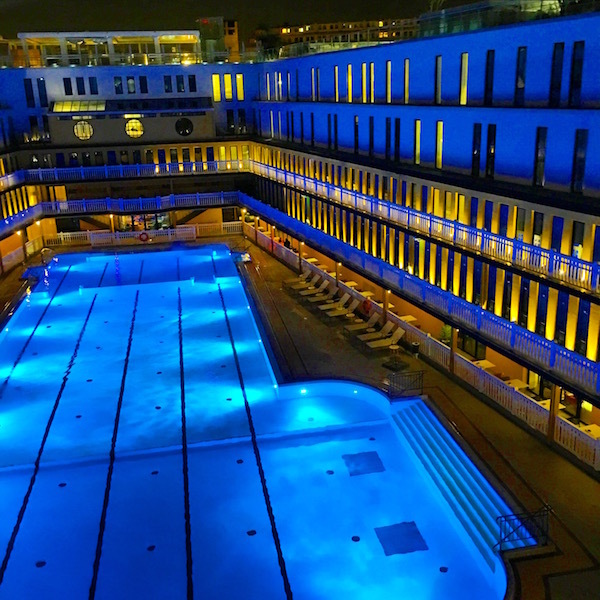 For extensive spa services and gorgeous pools you won’t soon forget check in to the Hotel Molitor in Paris. The hotel where the bikini was first introduced has been beautifully renovated to one of the most art centric hotels we’ve ever visited. With outdoor and indoor pools to enjoy you’ll think your at the beach in this one-of-a-kind hotel. Don’t miss the view from the sky-deck lounge and dining at the Hotel Molitor restaurant too. We just love a good picnic but it’s not always convenient to make one yourself when you’re far from home. That’s why we are total fans of the incredible picnic prepared for you by the Sofitel Vienna Stephandsdom. They do all the work for you, creating the perfect take-along picnic basket with everything you could want – including plates, utensils and, wine. We really couldn’t have done better ourselves. See more about our Vienna picnic experience here. When a resort lists itself as “gourmet all-inclusive” it has a lot of living up to do. 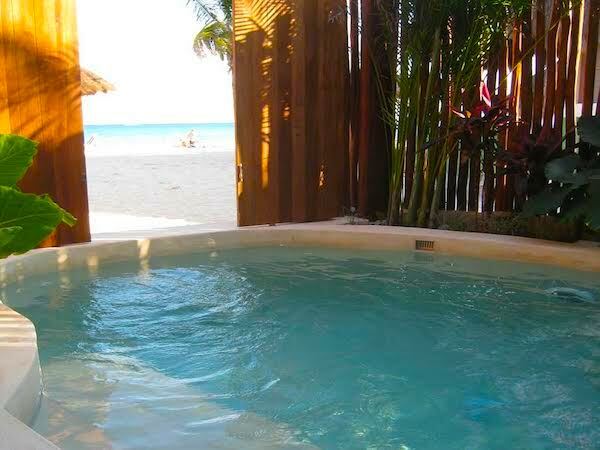 Fortunately the Azul Sensatori by Karisma in Puerto Morales, Mexico is as good as its name. While the amenities abound, we do have our favorites. The built-in water loungers take away that difficult decision of whether to relax on a lounger or in the pool. You don’t have to choose because they have loungers built into the pool! 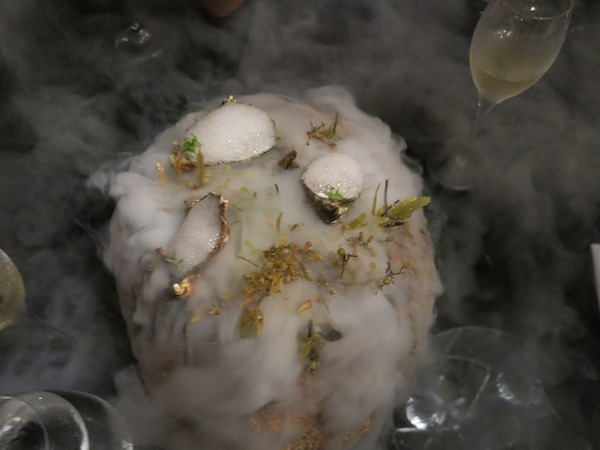 And the five-diamond award-winning Le Chique avant-garde restaurant blew past all our expectations. Check it out here for an inside look at all of the deliciousness. 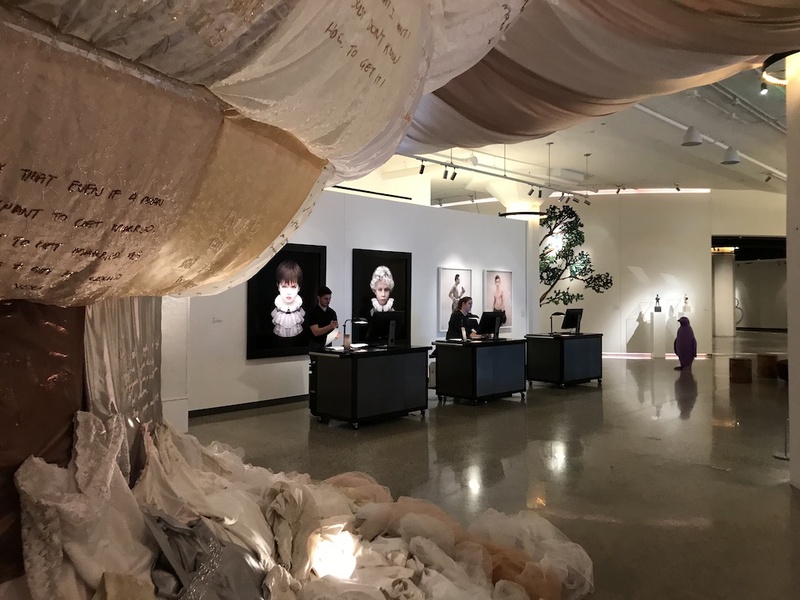 When you walk into a hotel that’s also a museum you know they take art seriously. That’s the case at the 21c Museum in Oklahoma City. We also loved the art at the Waldhotel in Stuttgart. 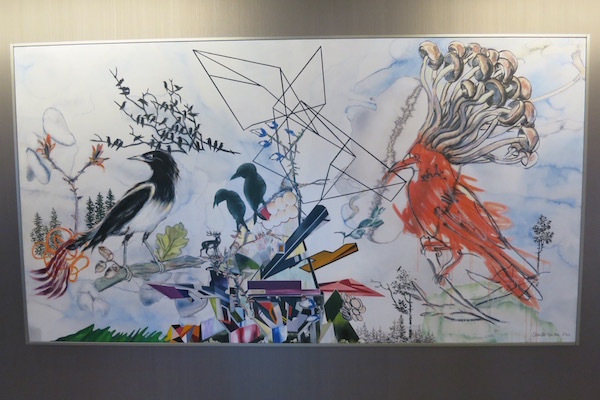 They brought the natural parklike surroundings of the hotel inside with beautiful paintings of birds and wildlife. Many hotels are now catering to people who travel with our pets. But the Fairmont Copley Plaza goes even a step further for those who cannot have their pups with them and are looking for a doggie fix. Canine Ambassadors Catie and Carly hang out in the lobby to greet guests and relax between walks. If you just can’t take a trot without a pooch by your side, then sign up with the concierge to head out with one of these girls for a Boston constitutional. 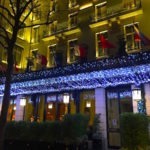 If you like the idea of falling asleep under the stars but not being out in the chilly evening air, then you’ll love the twinkling lights you can enjoy in the ceiling of your comfy room at the Le Madison Hotel in Paris, France. Nestled perfectly on the Boulevard Saint Germain, the location is right by the Seine, the Louvre and Notre Dame, but quiet and unassuming like a little oasis. Best of all, when you look up in the evening, you can choose to see the twinkling stars in the privacy of your own little world. Speaking of privacy, if you’re looking for a fun, hipster boutique hotel that caters to your every desire, then look no further than Drake Hotel in Toronto, Canada. 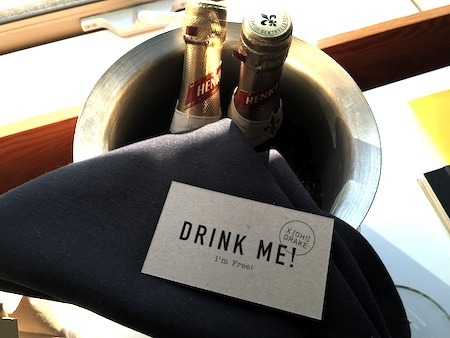 We give props to any hotel that welcomes you with two splits of champagne and a card that says “Drink me! I’m Free!” The little bag of kettle corn to accompany them was a nice touch too. But the “Pleasure Menu” offering pleasure kits and personal items from massage oils to adult toys and videos. If you’re looking for a playground for grownups, you might just find it here…and with a mighty fine cup of free coffee or tea each day of your stay at the lovely cafe, also known for its killer scones. Drake’s Pleasure Menu, now that’s unique! We’re huge fans of tea and especially a relaxing afternoon tea at a hotel. If you get a chance to stay at the Beverly Hill Hotel in Los Angeles don’t miss tea in the Polo Lounge. You’ll not only have an excellent tea service but you just never know what Hollywood A-Lister you might run into. 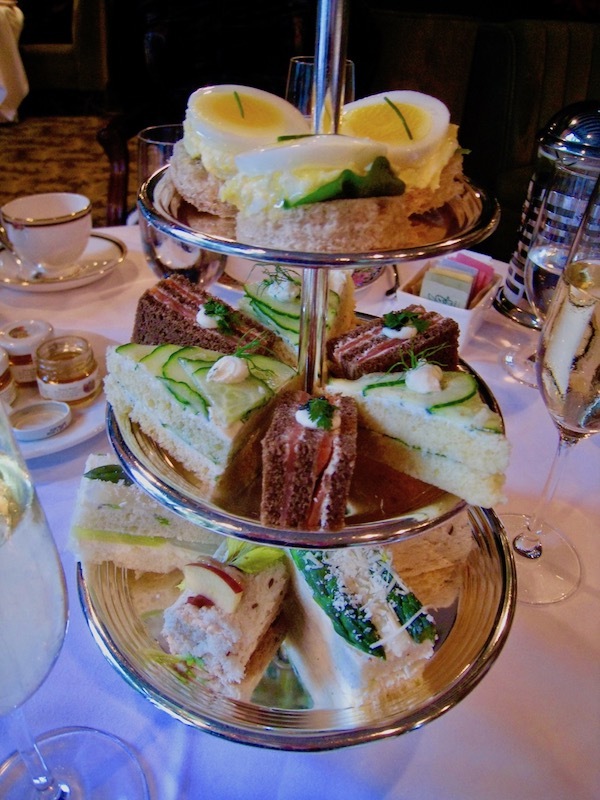 Other hotels that offer delectable afternoon teas are the Windsor Court in New Orleans, the Drake Hotel in Chicago and the Savoy in London. When we think of relaxing by the beach, the idea of hammocks on our own little porch and a private plunge pool that looks out to the beach ahead, or closes off, at our discretion, didn’t really come to mind. 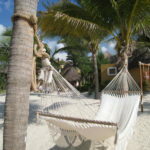 But once we discovered it at the Mahekal Beach Resort in Playa Del Carmen, Mexico, we decided that we would update our definition. The relaxation available when you’re literally on the beautiful white sand beach with no phone or television in your room, but the above amenities close at hand gave us a new outlook on the concept of tranquility. The amazing bar with heavy-handed bartenders provides a great happy hour every day doesn’t hurt either. 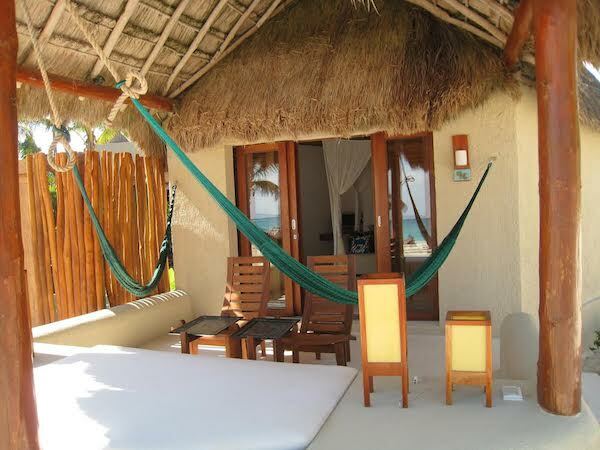 Two hammocks and a lounging outdoor bed at Mahekal Resort. Our very own plunge pool looking out to the Gulf of Mexico. Finally, if you long for a retreat to the cool times when turntables spun smooth vinyl with tunes for the soul, then like us you will enjoy The Redbury South Beach, which offers Crosley record players in the room with a collection of curated albums that sends you into vacationland from the first note. 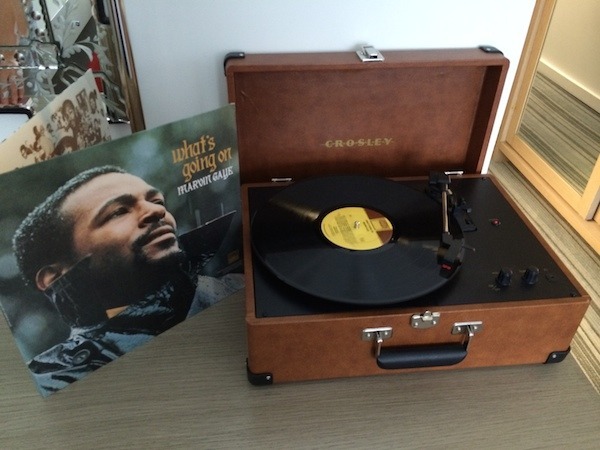 Though there were several appealing choices, we just never quite got past the amazing Marvin Gaye “What’s Going On.” And really, did we need to? Cool and swanky in hot Miami, pretty neat trick to pull of well. 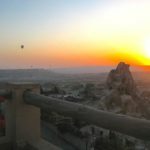 Though these are just a few of the fabulous hotel amenities that made memories in our minds, you’ll find that all over the world there are hotels, resorts and B&Bs that are working hard to make your stay with them as pleasurable as possible. Be sure to check out what they offer when deciding on a place to stay. The right amenities turn a good vacation into a great one. THE QUICK BITE: Check out our survey of fabulous hotel amenities around the world. 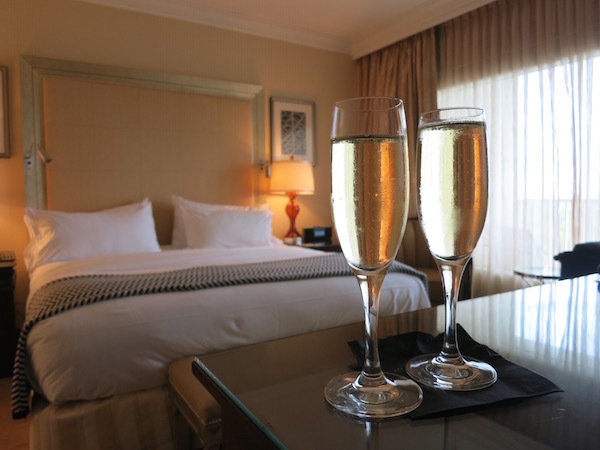 From extra fluffy pillows to chilled champagne that make the memories of your travels ones you’ll treasure for a lifetime. 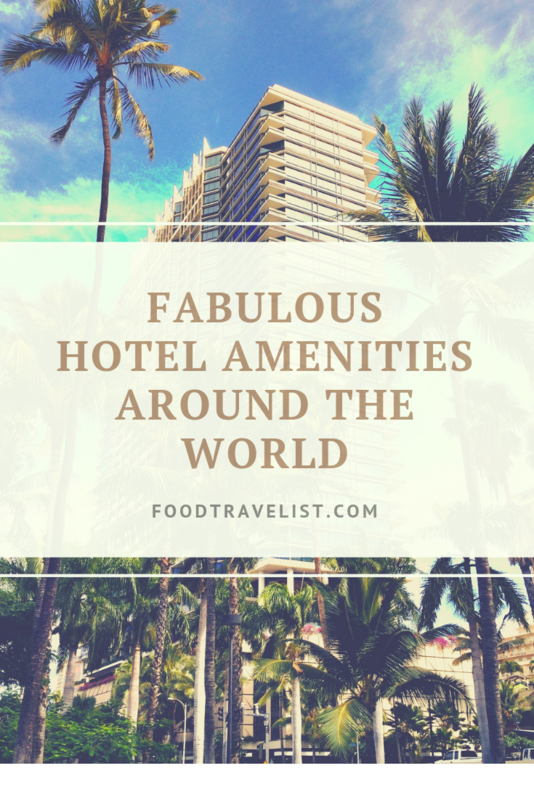 If you like these hotel amenities be sure to Pin this to your Hotels Around The World board. the picnic basket is such a great touch! would love to sat somewhere that did this! Wow!! Those are some lovely hotels you’ve listed 🙂 I love the idea of the picnic prepared for you, that looks fabulous. I always love getting to my room and seeing a personal note thanking me for my stay with either a bowl of fresh fruit, a bottle of wine and recently we had a plate of macaroons and chocolates. I do enjoy hotel amenities. I’m usually satisfied with fragrant soap and am blown away by a bath bomb! 🙂 I’ve been at a few hotels that, like the Sofitel Vienna Stephandsdom, prepared a picnic basket–such a nice option when you are away from home. I love those twinkle lights! It really goes along way when hotels put in a little bit of love. I am heading to Toronto in October so going to check out Drake Hotel, looks cool from initial swatch at the website. One Country Hotel I stayed in here in the UK gave us a pair of wellies each to borrow. But what I MOST appreciate is a good quality bathrobe. First, I absolutely love the picnic basket idea. How great is that!? Second, I’ve been hearing about Le Chique a lot lately. We’re going to Mayan Riviera in a few weeks and I really want to check it out! Chocolates and bottles of water is pretty much it! Anyway, I was quite taken with that picnic basket. Some really nice tips here. I’m definitely going to check out the Drake in Toronto when we pass through next month. My step-son’t band is based in Montreal but makes regular trips to Toronto for gigs, and “hipster boutique” is definitely something that could come in handy! Also the pre-packed picnic in Vienna looks delicious. What a great service for them to provide! I am always tempted to steal fluffy pillows from hotels!! Clever people! This comprehensive list makes me realize the marketing folks/hosts are putting their thinking caps on. Great list and great services! What fun! Oh, this is a fun list! I love it when hotels go out of their way to differentiate the experience with such clever ideas. My favorite has to be the dogs! Who wouldn’t want a big old Labrador’s affectionate company for the day? I’ll take one along with the picnic basket to go! I would love to be able to stay in hotels with these kinds of amenities every time I travel, but, alas, my budget doesn’t allow it. For the lesser hotels, the “amenity” of a smiling, polite staff goes a long way! It certainly does Rachel. Couldn’t agree more. I love these; i think the best we have received has been a hand painted full size cake in Dubai. It was too beautiful to eat. 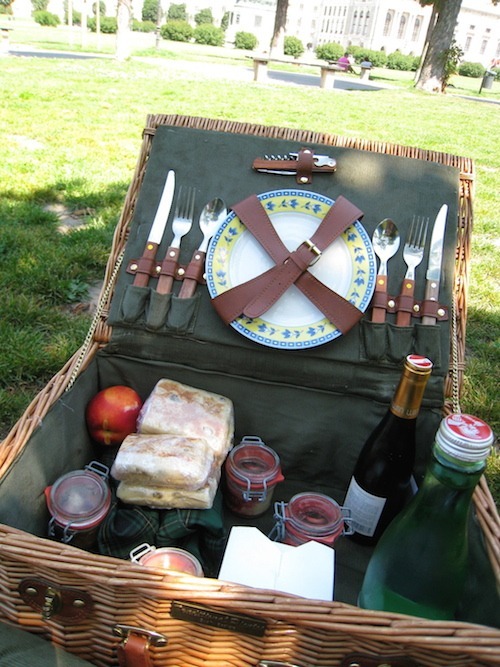 The prepared picnic basket looked like a great experience, such a great idea. 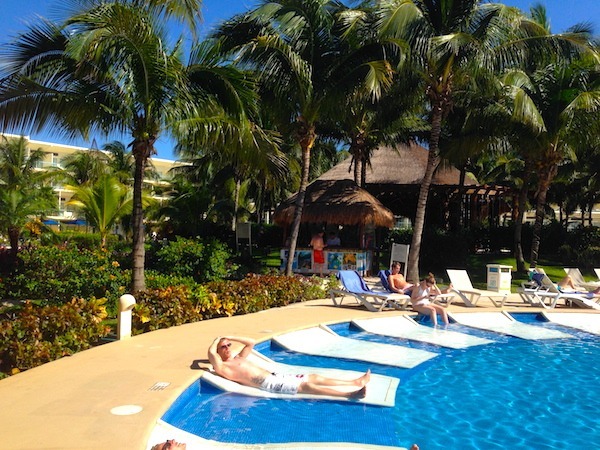 We’ve also been to Azul Sensatori and we loved everything about it. These are all great! I love hotels and always love to find new amenities. The most amazing hotel we’ve stayed at recently was the Rosewood Beijing. I was charmed by the books on the shelves that made the room feel so homey!